Anytime anybody impersonates you, it’s a great compliment. I love Joan Collins. She’s a wonderful lady. She has such courage. She’s such a good actress. I think of Mike Myers as the Buster Keaton of today. I think he’s brought us something so special. I was in the movies. I danced, I sang, I learned to work in front of a camera. It was like being in a repertory company. I was spawned by some pretty good people in this business – Mr. Astaire, Mr. Tracy. They stopped and took their time to talk to people. It’s sensational to be a part of a series that takes on a life of its own. In the contract days, the big studios groomed us to play particular roles and we would stay with the image they gave us and insisted on. I’ve learned one important thing about God’s gifts – what we do with them is our gift to Him. I wish there was some way to get the law changed. They can write anything about you after you’re deceased and there’s nothing you can do about it. Jill and I arrange our lives to spend a lot of time together. That makes us both happy. What impresses me is the young actors with terrific talent arriving on the scene. They’d have blown us all away in the old days. Guys like Brad Pitt. 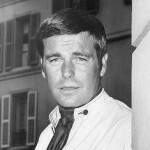 Robert John Wagner is an American actor of stage, screen, and television, best known for starring in the television shows It Takes a Thief, Switch, and Hart to Hart. In movies, Wagner is known for his role as Number Two in the Austin Powers trilogy of films. He also had a recurring role as Teddy Leopold on the TV sitcom Two and a Half Men.